"The 5 Hour Video" (unofficially named by Anonymous) was first mentioned on /x/, in a deep web thread. 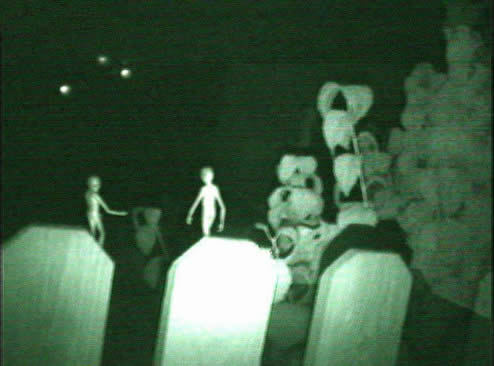 Allegedly, an untitled video that is five hours long and contains footge of aliens (and the killing of aliens) was found on the deep web, although many believe the video to be non-existant; a story created for creepypasta's sake. 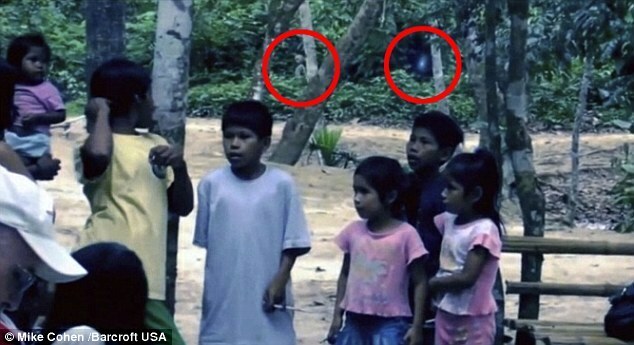 Despite this, more and more people claim to have seen the video, although it has never shown up online (despite multiple search efforts), and the only "evidence" of it is a supposed screenshot that is unverified. 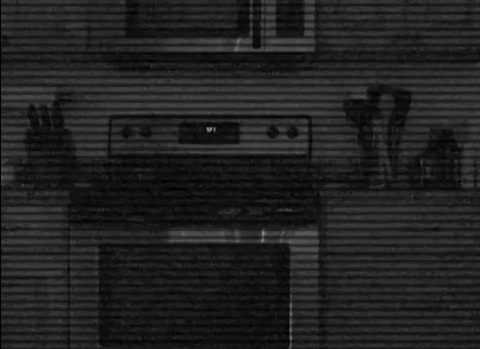 Not much more is known about the mysterious video. 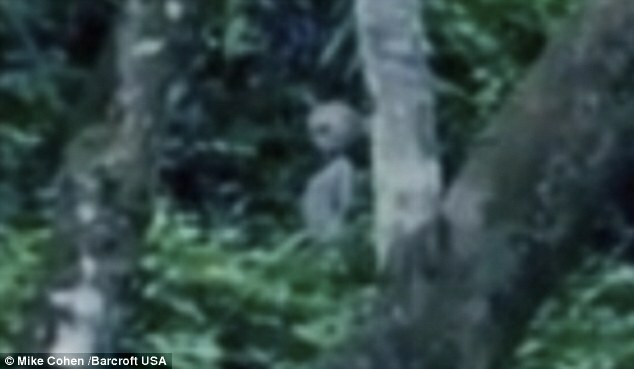 These are supposed screenshots of the video, which is said to contain copious amounts of footage of aliens. The video is supposedly extremely rare and impossible to find with a normal search engine. 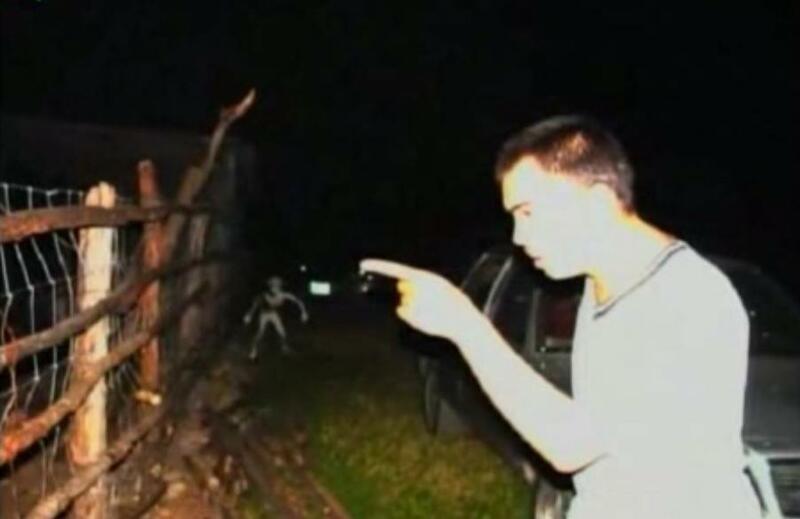 A copy of it is supposed to exist somewhere on the deepweb, but if it does I have not found it yet. 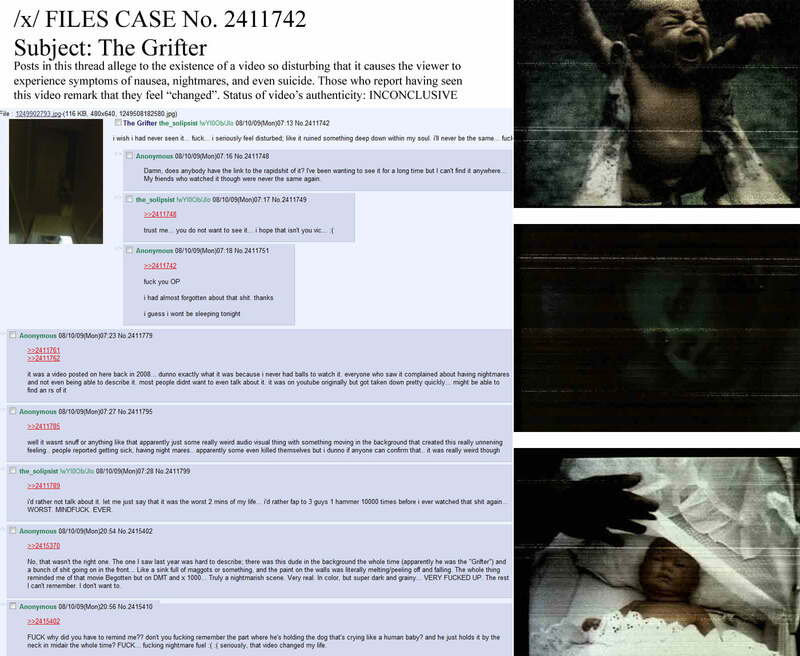 The Grifter is an alleged video that was first mentioned somewhere on 4chan's /x/ imageboard.Watching it is said to be a soul-rending experience, far more horrible than anything one could imagine.The image on the right is said to contain screenshots of some of the scenes in the video.The few that have watched it are said to have been killed in their own homes, with only one thing in common, a strange doll, hidden somewhere in their homes...There is a message by the end of the video in the constructed international auxiliary language Esperanto, and says:"This child (now a young man) is still alive and lives in a local shelter whose name was not given. He never spoke, and still is katatonie [sic]."